Baking powder and yeast are the two most common baking-products leavening agents used in households or bakeries. Without any of these raising agents, flour dough would look dense, thus a mimicking cement paste. These leavening agents have the same purpose of making bubbles form the production of carbon dioxide gas. Although they have the same purpose of raising dough, there is a significant difference between the agents. Any substitute of the other could yield undesirable results. In a nutshell, yeast uses a biological reaction to produce carbon dioxide while baking powder uses a chemical reaction (acid-base) to yield carbon dioxide necessary for the leavening of baking products. This article highlights these differences. The most common yeast found in commercial stores is the active dry yeast. There are different types of yeast which include fresh yeast and active dry yeast. 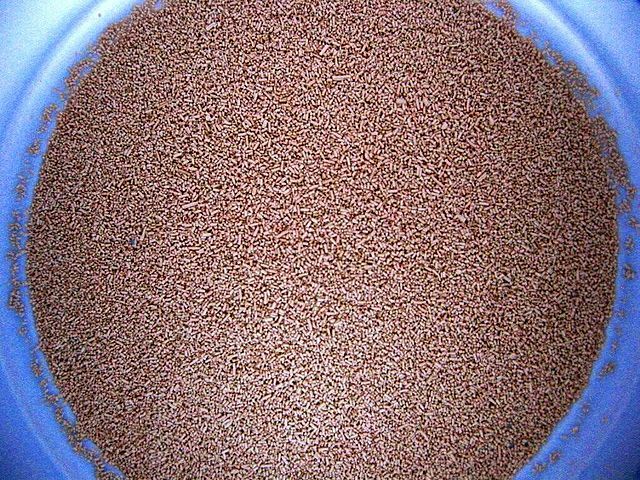 Yeast refers to a unicellular, eukaryotic microorganism that plays a significant role in the fermentation of dough as a result of carbon dioxide and ethanol production. Not only is it used in baking products but also in breweries to produce alcohol. When exposed to sugars in dough, yeast yields carbon dioxide gas which gets trapped as little air bubbles to leaven the baking product. It makes the product fluffy and controllable. The microorganism gets activated by warmth and sugars. Addition of hot water can render the organism ineffective in undergoing a biological reaction to product carbon dioxide. As long as there are carbohydrates in the dough, the process will continue until the yeast gets killed during the baking process by high heat. Yeast is a member of fungus family and it is the species Saccharomyces cerevisiae that transforms sugars into ethanol and carbon dioxide. A bake made of yeast results in a spongy and soft texture. Aside from the use as the leavening product, yeast is predominantly used in cell biology research as well as in microbial fuel cells to produce electricity or yield ethanol in the biofuel industry. The use of yeast in preparing dough brings lots of health benefits as it is a provider of vitamins, minerals and proteins. In particular, it is a source of Vitamin B12 and B-complex. Furthermore, it can be used as a probiotic. Yeast can add flavor to the baked products. However, in some cases, if left to rise for a long time, the taste can be undesirable. The downside of yeast is the longer time it takes until the dough is leavened. For time conscious bakers, yeast can be a no-go agent. Normally, it takes about 2 hours to fully expand the batter. The types of baking products that are made by yeast include pastry and bread. Baking powder is basically a baking soda (bicarbonate of soda/sodium bicarbonate) mixed with additional ingredients which can include corn or potato starch, and acid salts such as mono-calcium phosphate and sodium aluminum sulfate/sodium acid pyrophosphate. A cream of tartar acid can also be mixed with baking soda to make a baking powder. These ingredients can vary from one product to the other. But, the bottom line is the chemical reaction of the acid and the base sodium bicarbonate to form carbon dioxide which is responsible for the leavening of baking products. Because baking powder contains acid, it is best suited for recipes that do not call for additional acid. If that’s the case, it should be replaced with the baking soda to readily mix with the acid and produce carbon dioxide. The potato or corn starch in the baking powder enhances stability. Unlike yeast, baking powder acts immediately and it is activated by heat during the baking process. No waiting period before baking. 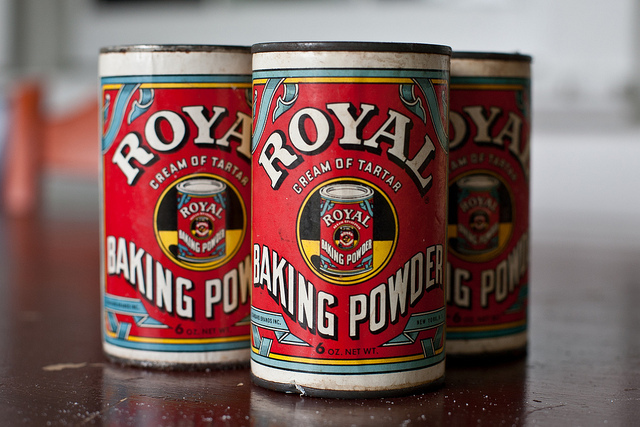 Baking powder can undergo dual acting or single acting process. Single acting is when the powder is only activated upon mixing it with liquid. The popular one is the dual acting where the powder is activated by mixing it with liquid, and also activated by the oven heat which explains why baking products raise more in the oven than on the countertop. Carbon dioxide is produced in two different stages in dual acting process. Baking powder is a chemical compound that is composed of the bicarbonate of soda with various ingredients that include acid salts, corn or potato starch, and tartaric acid. These ingredients undergo a chemical reaction to produce carbon dioxide which is then responsible for the leavening of baking products. Yeast, on the other hand, is a living unicellular, eukaryotic microorganism available commonly as active dry yeast to be activated by sugars and warmth in dough to leaven the baking products. Upon activation, yeast yields carbon dioxide which is then responsible to bubble formation and fermentation. Baking powder is ideally used in recipes that do not call for additional acid like buttermilk, cocoa, etc. The product itself contains acid. The addition of acids can compromise the taste. Baking powder is best used in baking scones, cakes, pancakes and other light bakes. Yeast is mostly used in baking pastry and bread. It is also a main ingredient in alcohol brewery because of the ethanol it produces. Baking powder is convenient to knead flour and bake immediately. No need to wait until the dough has risen. Yeast can take about 2 hours before it rises fully and become ready for baking. The biological reaction in yeast is slower than the chemical reaction in the baking powder. Baking powder is composed of sodium carbonate plus sodium aluminum sulfate and mono-calcium phosphate mixture or cream of tartar – an extract of tartaric acid. It can also contain corn or potato starch. Yeast, on the other hand, has the Saccharomyces cerevisiae which is the microorganism behind the effectiveness of yeast in leavening dough. Yeast can be killed by high heat whereas baking powder is activated by heat. Lusi Madisha. "Difference Between Baking Powder and Yeast." DifferenceBetween.net. 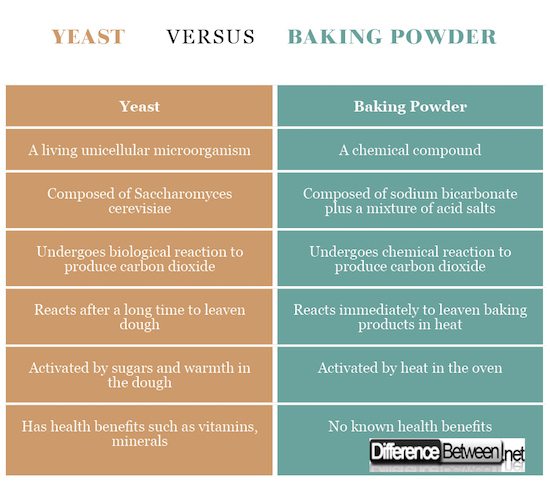 April 12, 2018 < http://www.differencebetween.net/science/difference-between-baking-powder-and-yeast/ >.